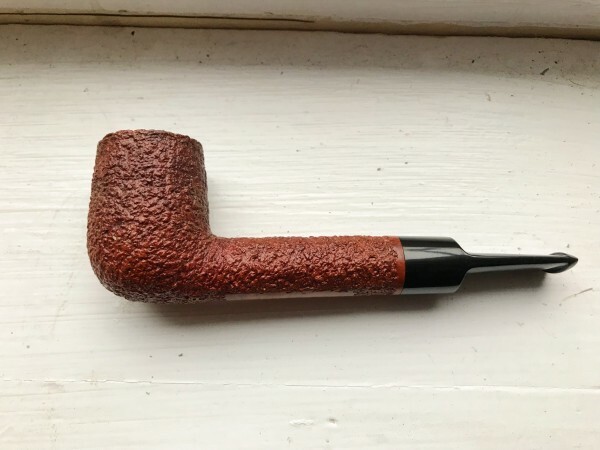 I'm not someone who buys pipes on a whim, but Lovat is probably my favorite shape (I got over my youthful dalliance with bent billiards a long time ago), and I'm always on the lookout for one that suits my fancy. When browsing smokingpipes the other day, I saw this estate James Upshall rusticated Lovat, and it just called to me. So after about .00001 seconds of deliberation, I put it in my cart and bought it. It came today, and I'm loving it! 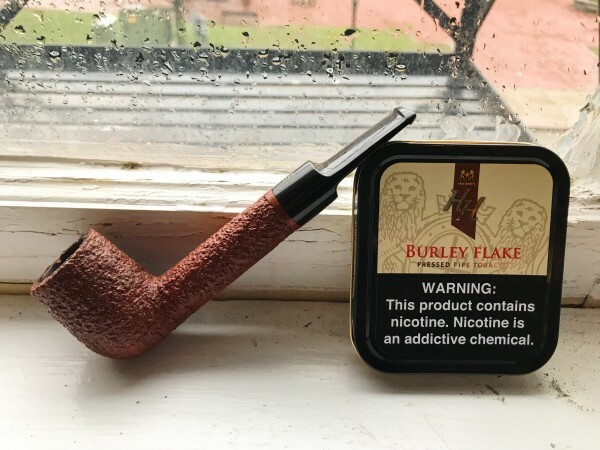 It's working through a bowl of Luxury Navy Flake as I type this. It's got some charring on the rim, but I don't mind, as it means I don't have to worry about being the one to do the charring, and the rustication is super craggy and feels good in the hand. Drilling is flawless, and the draw is very open. That is a wonderful pipe. Great shape. It is a smoking machine. Congrats! Great looking classic. Glad to hear it smokes great, congrats. A winner for sure; I love a deep rustication or blast. My Upshalls are excellent smokers. Enjoy that English classic! I'm still working on this aforementioned bowl of LNF, and I can already safely say I'll be buying more Upshalls. I'd love to get one produced when Ken Barnes was still with Upshall. What a classic pipe! Very nice! I like it! 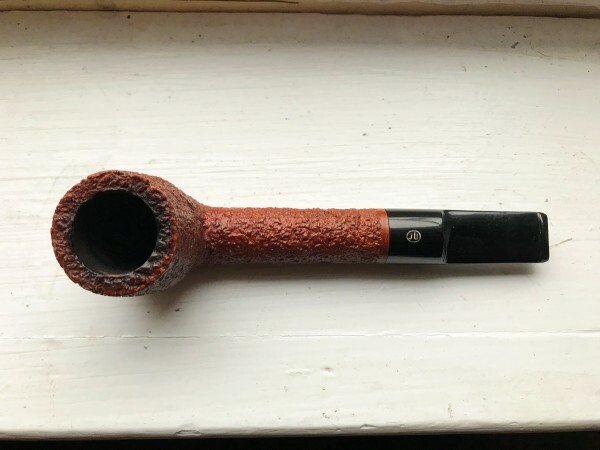 During their era, the rusticated pipes weren't exactly the darlings of Upshall fans, but I had one and it had a tactile feel that was better than a Castello Sea Rock. Enjoy it! Hap, I have the twin of your pipe, except the stem logo is stained orange rather than white, as are all my non-smooth Upshalls. The pipe, for all its rugged looks, is so incredibly light, and a great smoker. I love my Upshalls, all great smokers. I hope you have as much success with your "new" pipe as I have had with mine. Yeah Paul, I pulled the trigger much faster than normal on this one, because I didn't expect it to stick around on SP for long. I usually agonize over pipes for at least a week, but this one just spoke two me. I've had two amazing smokes in it so far. Great looking pipe Hap. I love Lovats and that Upshall is a stunner. I have been thinking about an Upshall pipe for some time now. I'll have to be on the hunt for one similar to yours. Or save up and get one of Ken Barnes' new ones that he has started making.